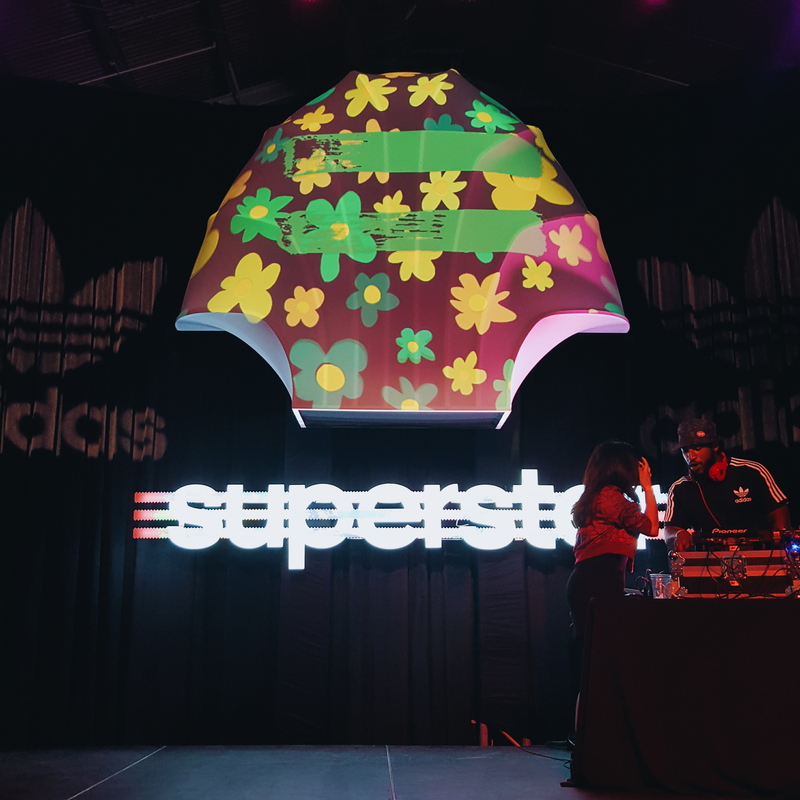 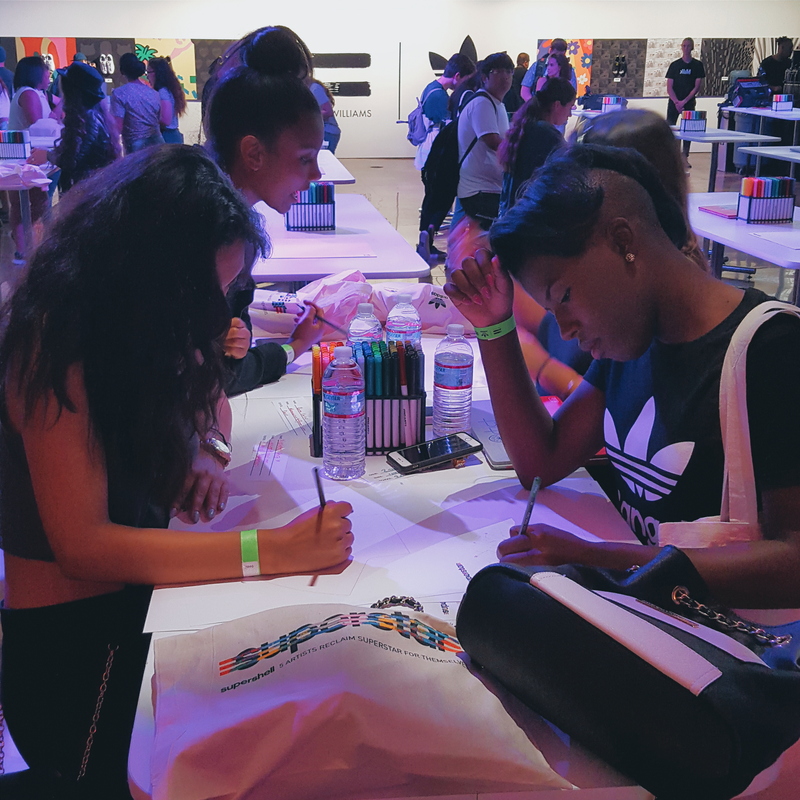 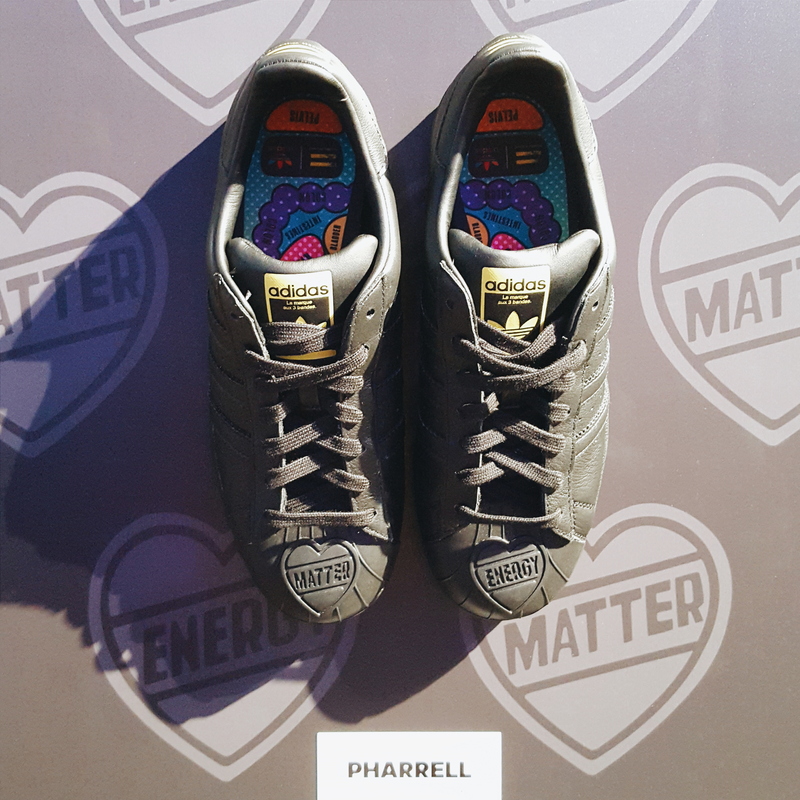 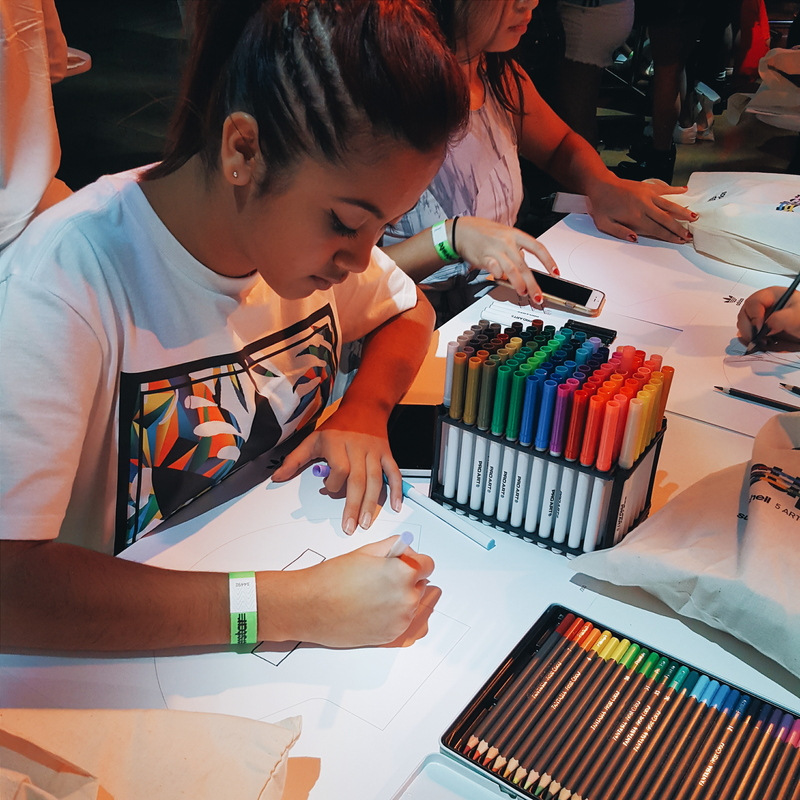 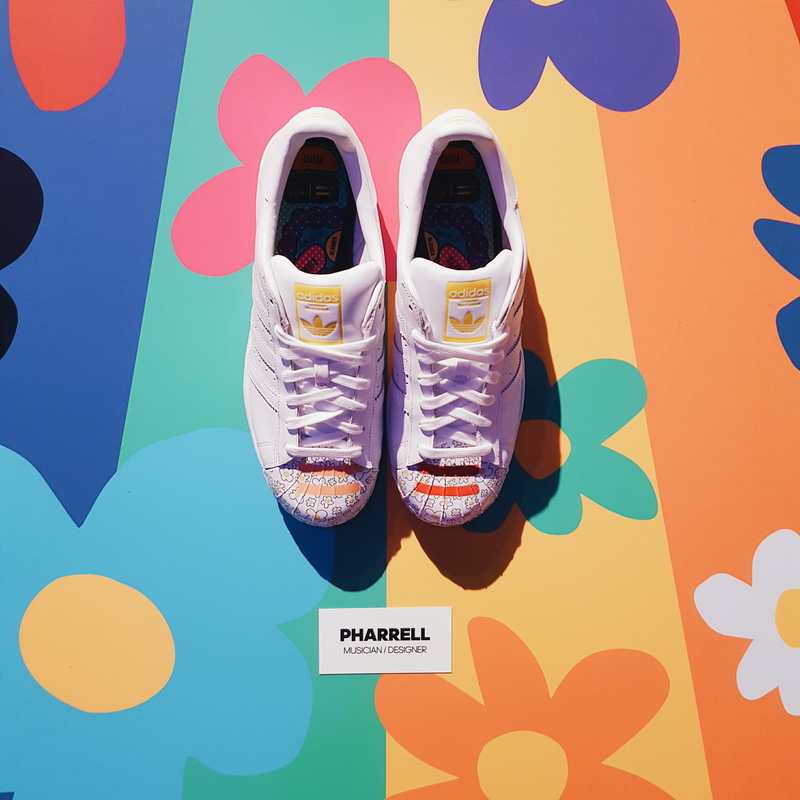 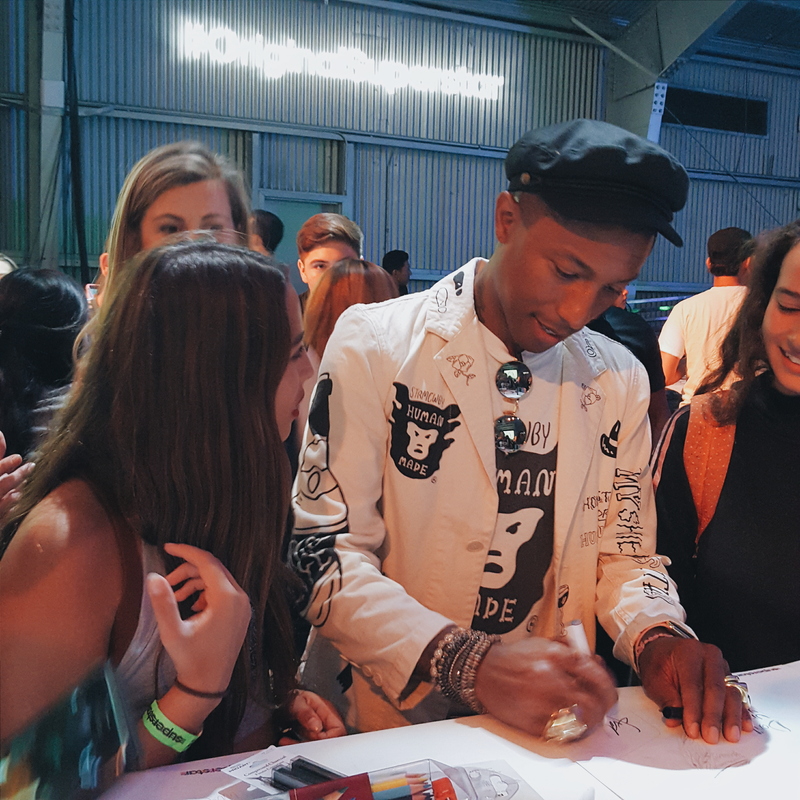 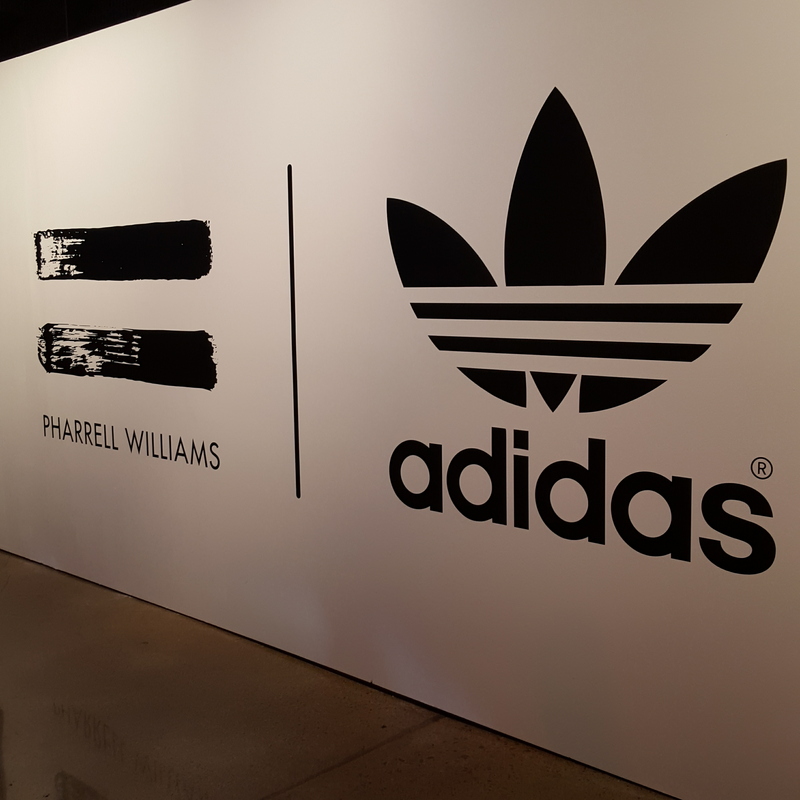 This past weekend, adidas Originals and creative higher power, Pharrell Williams, put on an event that championed the cause of creativity by inviting hundreds of high school students to Milk Studios in Hollywood for an art throwdown that encouraged them to let their imaginations loose to design their very own adidas shelltoes. 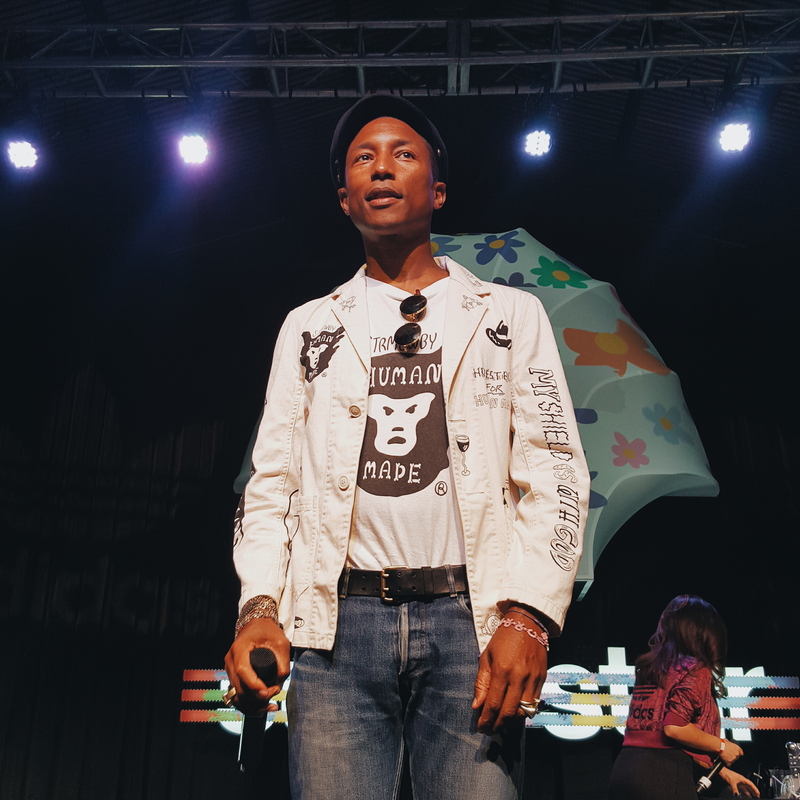 The unique and inspiring event had Pharrell on hand to encourage the kids in their artistic endeavors, while also complimenting and discussing their artistic renditions of the iconic adidas shoe style. 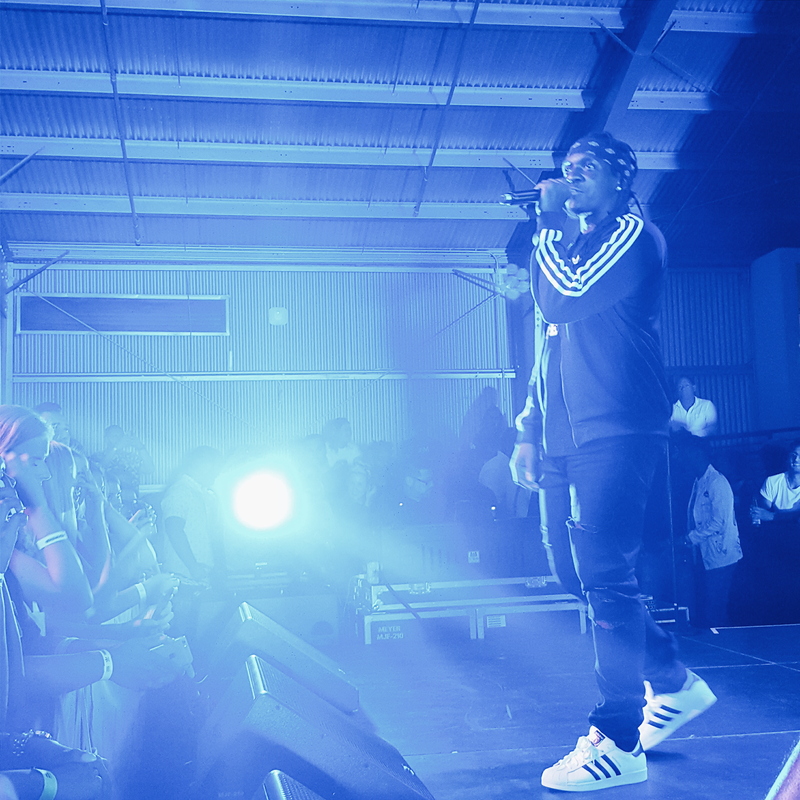 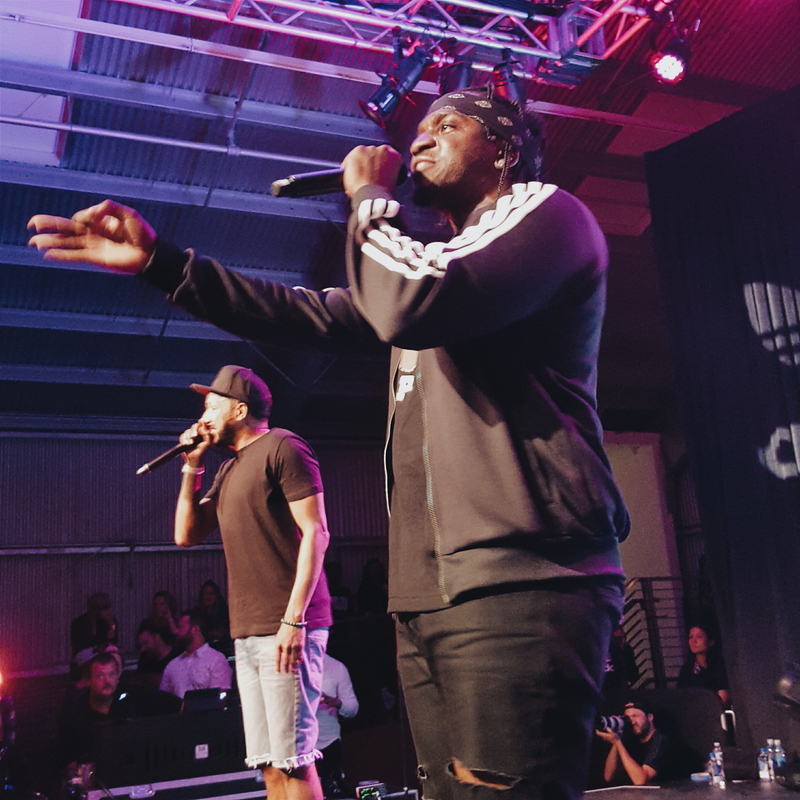 Capping off the night was a special surprise performance from Pusha T himself, as he got the crowd hyped with a very lit set that featured all of his hits, from “Numbers on the Boards” to the classic “Grindin.” Hit the jump to check out the coverage we got of the memorable event.